Discussion in 'Amps & Cabs Emporium Archive' started by billy budapest, Apr 29, 2016. 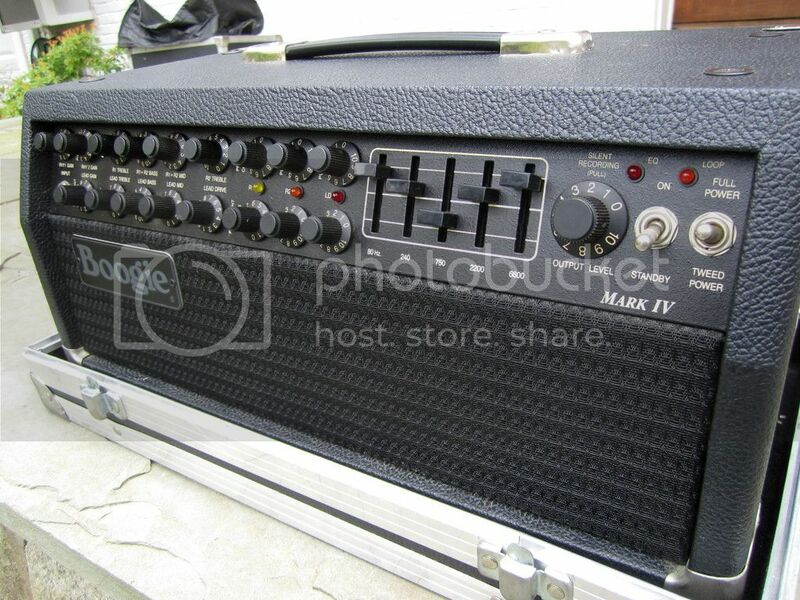 This is an uncommon first version of the Mark IV amp in the desirable short head cab configuration. 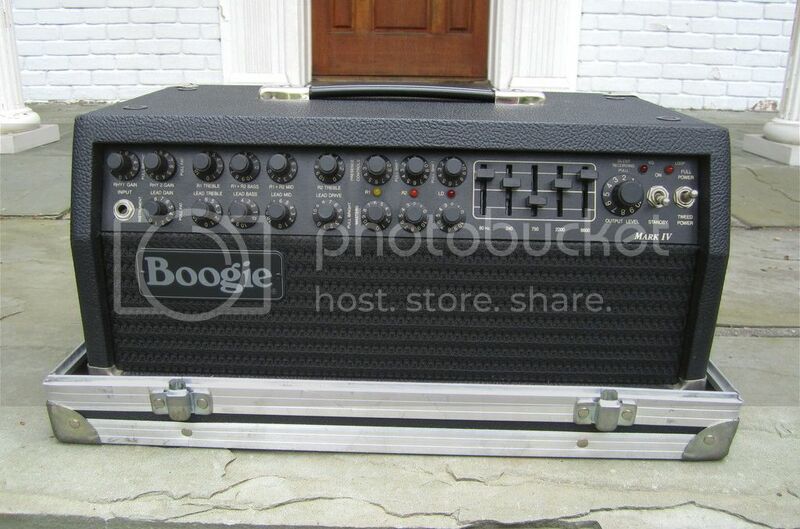 It features three-channel switching, reverb, and approximately 85 watts of power that can be reduced via the Simul-Class/Triode/Pentode/Tweed switches. It is circa 1992 (serial #29xx), and therefore is early in the run of units made before Revision B. 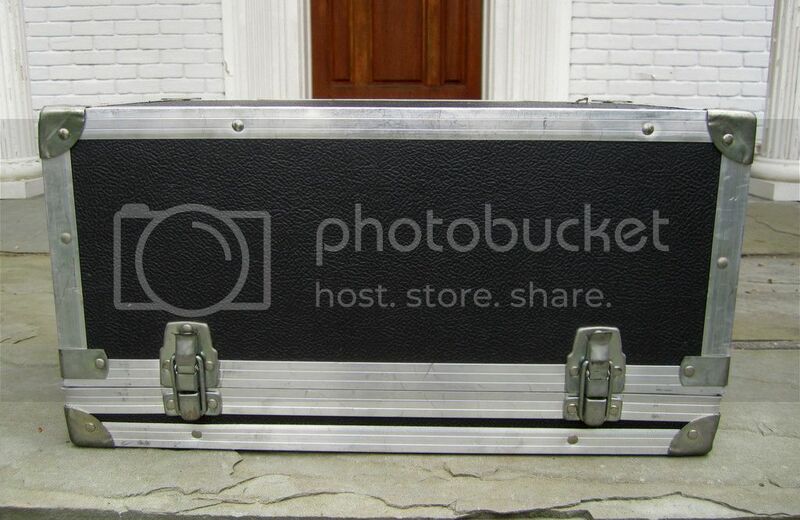 It has had one owner, was used for approximately one year, and then stored in its cover and road case until now. The amp is stunning in all regards. It is 100% original and in 100% top running order with no modifications whatever other than changed power tubes. It is super-quiet and stage and/or studio ready. The physical condition is near mint all around, with only some light scuffing of the footswitch from time spent on the floor. Comes with the floor controller and connecting cable, original leatherette amp cover, and flight case. LFT and dave-o like this. Thanks for the likes. 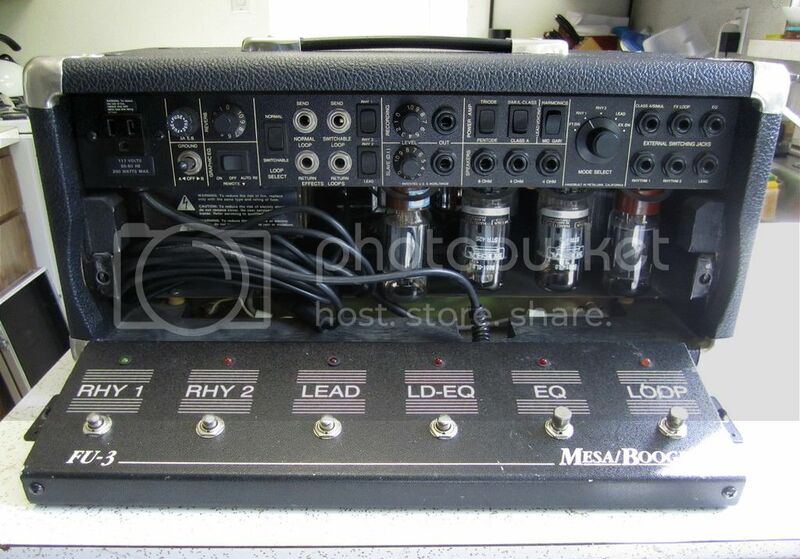 The amp gets a LOT of PMs about its massive appeal, but no takers yet!